The US Dairy 3-A sanitary standard and European Hygienic Engineering Design Group (EHEDG) guidelines for certain human food production require food producers to use equipment that protects food from contamination, can be mechanically cleaned on all surfaces, and can be dismantled easily for manual cleaning or inspection. The guidelines set benchmarks for materials suitable for use in the production of food for human consumption. Primarily, because of its corrosion resistance and durability compared with most other materials available, stainless steel is by far the preferred material for fabricating food equipment. Schenck Process expects the new segregated stainless steel production facility to be fully operational by October 1, 2017. “Schenck Process is recognized as a worldwide leader in the manufacture of pneumatic conveying, weighing, feeding and dust collection systems. The opening of the Whitewater facility will enable us continue our expansion into the food, nutraceutical and fine chemical markets with applications that meet the most exacting hygienic and sanitary standards,” said Brown. 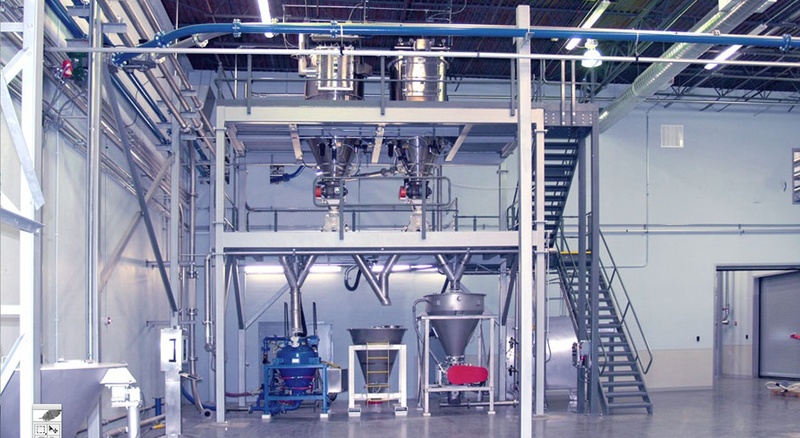 Schenck Process is your complete global source of highly accurate dry powder pneumatic conveying, weighing and feeding systems with additional expertise in dust collection through a wide range of filter media. For over 40 years our commitment to research and development has led to the creation of some of the industry’s most advanced products and technologies. We have been awarded hundreds of patents and been recognized by our customers for providing custom solutions for their specific material handling needs. With sales, service and manufacturing locations throughout the world Schenck Process is able to deliver process solutions to customers on a global basis.